(Natural News) Tennessee has become the fourth state to impose restrictions on Monsanto’s flagship herbicide, dicamba. Farmers in the state have stated that the herbicide has drifted to neighboring farms, damaging crops that have not been genetically-modified to withstand it. Tennessee follows Arkansas, Missouri, and Kansas in holding global giant, Monsanto, responsible for environmental damage. 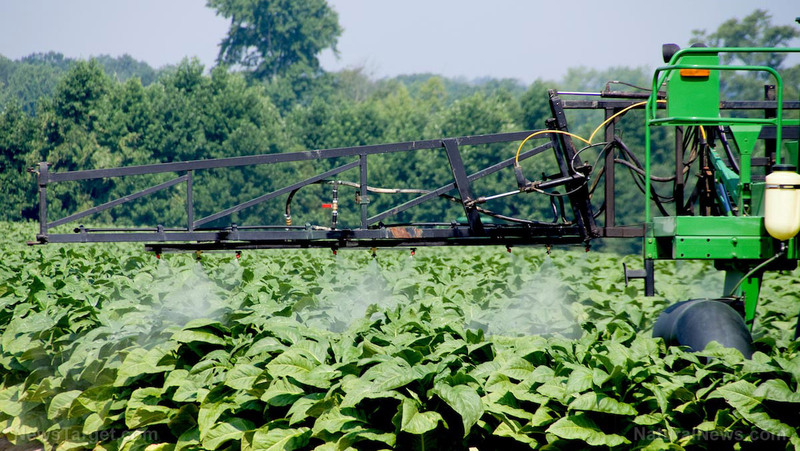 Dicamba is the main ingredient in herbicides produced by Monsanto, BASF, and DuPont for use on soybeans and cotton which have been genetically-modified to tolerate the chemical. The U.S. Environmental Protection Agency (EPA) approved dicamba as safe for use in 2016 against broadleaf weeds. According to Rafferty, 3,000 to 4,000 acres of soybeans on his family farm have been compromised because of dicamba drifting. He says that the leaves of the plants have constricted into cup-like shapes — a warning sign that the soybeans have somehow been altered. “In almost every technology in the first year there are kinks that you need to work out,” said Robb Fraley, Chief Technology Officer of Monsanto, in response to the dicamba lawsuits. Fraley joins spokespeople from BASF and DuPont who implicate improper handling, rather than inherent chemical issues, as the cause for the damaged crops. He says that farmers do not follow application labels, use contaminated equipment, and even buy older formulations of the herbicide to save on costs, but which are more prone to drift. However, he said that Monsanto will look over additional safeguards for product use. Dicamba was developed to match its Xtend line of soybeans and cottons which have been designed to handle the weed killer. The line was meant to replace earlier products that contained only glyphosate. In 1970, Monsanto introduced glyphosate-resistant crops to battle the rapid buildup of plant-destroying weeds. Late last year, Monsanto introduced their new dicamba formulation, marketed as XtendMaxTM. The herbicide was reported to have low-volatility, which the company described as being less likely to drift while being more flexible, and intriguingly, better able to “maximize crop yield potential.” In their official press release, Monsanto projected over 15 million Roundup Ready 2 Xtend soybean acres, as well as three million Bollgard II XtendFlex cotton acres by the end of 2017. These estimations might not come to fruition, however, given the latest restrictions filed by Tennessee. Part of these guidelines include allowing application only from 9 a.m. to 4 p.m., and banning the use of older dicamba formulations.